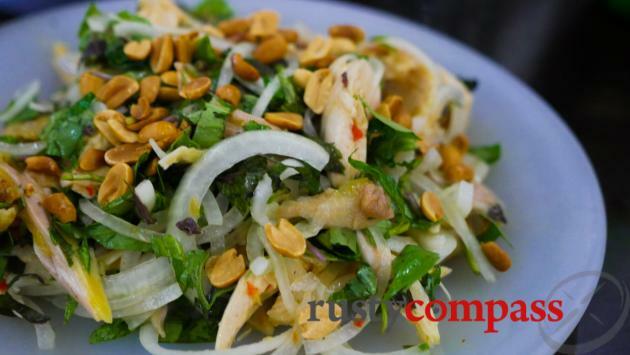 An independent travel guide to Kon Tum with candid reviews and recommendations. No sponsored content, no advertorial. The Dakbla river, Kon Ktu. The old US airstrip at Dak To. Traditional dress is out for young Ba Na folk. Kon Ktu Ba Na village outside Kontum. 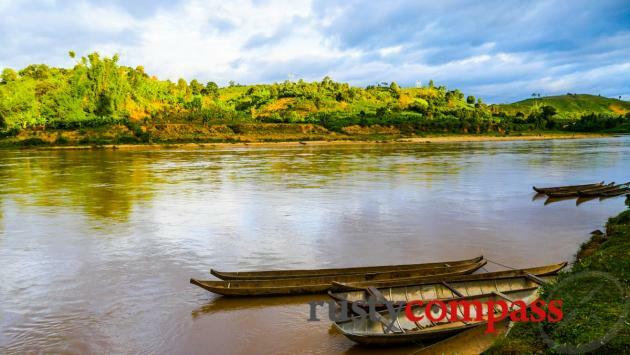 Kon Tum, in Vietnam’s central highlights, makes it to few travel itineraries. Over several visits in late 2015, I didn’t spot another tourist. But that doesn’t mean there’s nothing to see or do here. In fact I found Kon Tum a surprisingly interesting and charming place - and more appealing than other larger highland towns, Pleiku and Buon Me Thuot. If you’re in the area, it’s worth stopping by for a night or two. 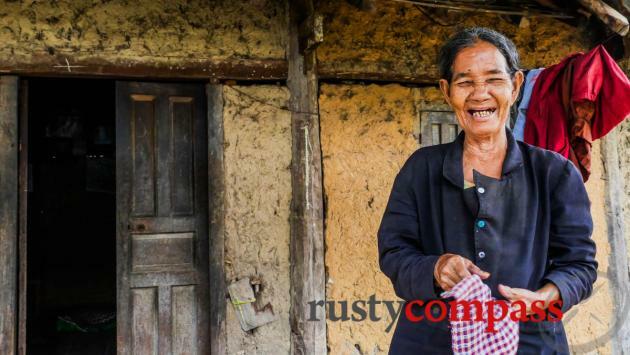 The Kon Tum area is home to diverse ethnic minority communities and while the villages don’t see many travellers, they’re welcoming. 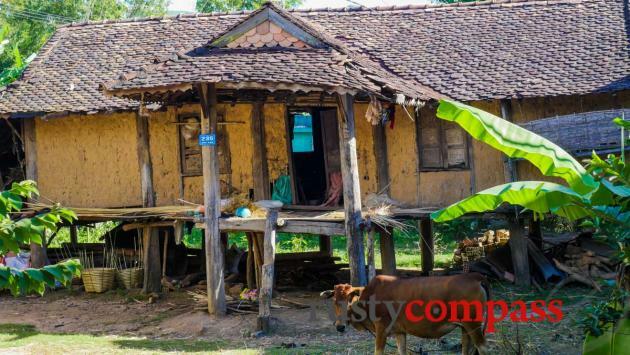 Kon Tum’s remoteness tends to keep travellers away. 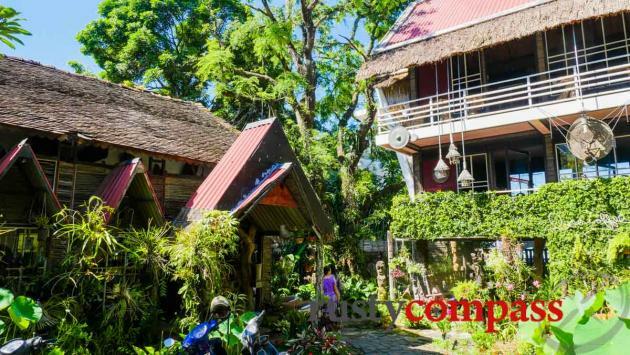 The most logical reason for visiting is if you’re travelling through the central highlands, or planning to travel overland to Pakse from Vietnam, crossing the border at Bo Y. Significant Vietnamese settlement around Kon Tum only commenced during French colonial times in the 19th century. Prior to that, the area was inhabited only by ethnic minorities. 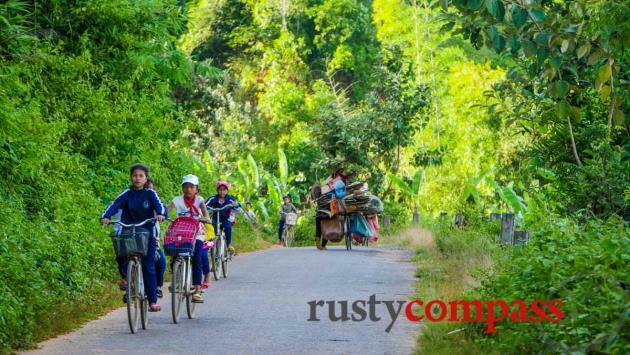 The area saw very heavy fighting during the Vietnam War and the town was ravaged in the last battles of the war in 1975. The Central Highlands have been comprehensively deforested in recent decades so don’t expect dense, lush, pristine forest. There are plenty of pretty rural scenes though. 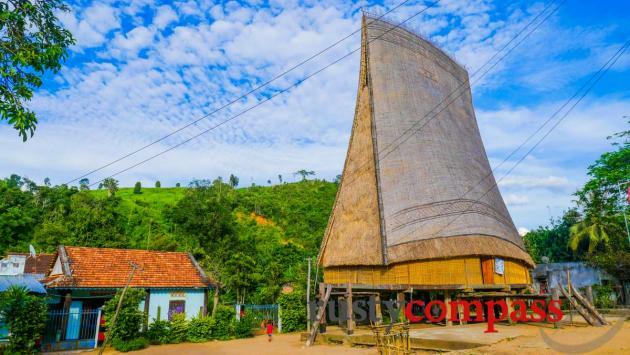 Kon K’Tu Village is an ethnic Ba Na village around 8kms from Kon Tum town. 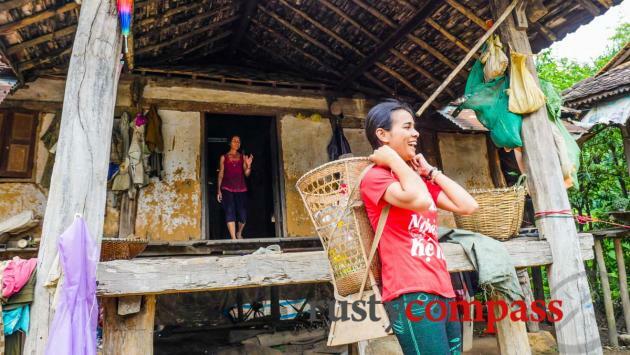 It’s a small community of simple, attractive, traditional mud houses and a Catholic Church. The ride out over the suspension bridge and along the DakBla River is also enjoyable. We struggled to find bicyles for hire and ended up taking motorbikes. Missionaries arrived in these remote parts in the mid-nineteenth century and were remarkably successful in proselytising to local ethnic minorities. The Catholic church still has substantial land holdings in Kon Tum town. The 1935 Paris Missions seminary is one of the more striking church buildings in Vietnam. 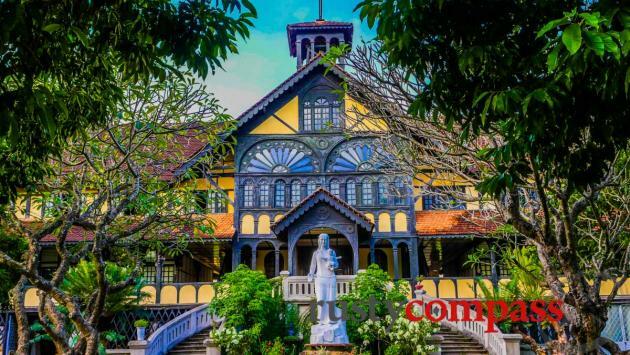 Visitors are welcome to stroll around the vast manicured grounds and admire the architecture. There is also an interesting private museum in the main building with a collection of cultural items from local ethnic minorities, and some history of the Paris Missions in the area. 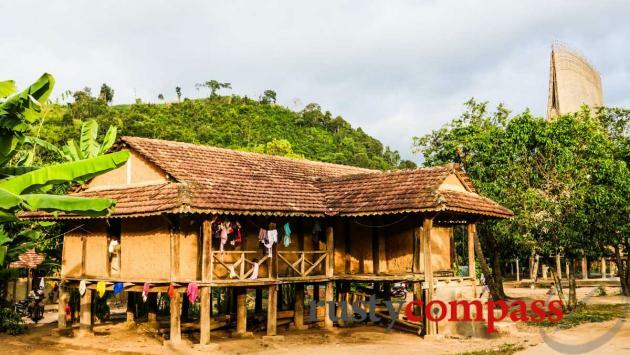 The Old Wooden Church was the traditional church in Kon Tum focusing on ethnic minority language services. It was originally built in the nineteenth century and has since been refurbished on a number of occasions. 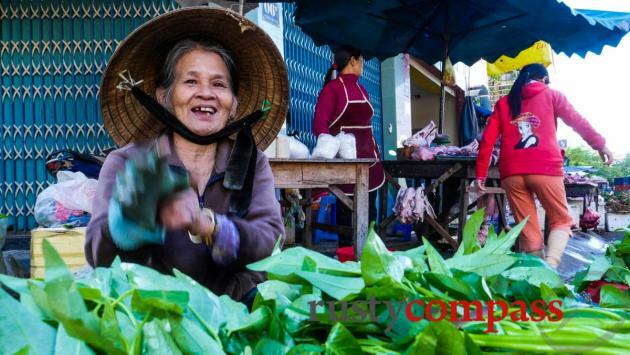 Kontum’s downtown market is a typical country market with plenty of fresh colourful produce and friendly smiling faces. Around 45 kms north of Kon Tum is the former US airbase at Dak To. The Dak To base was an important outpost for US forces and many major battles were fought in the area. John-Paul Vann, the subject of Neil Sheehan’s epic book, A Bright Shining Lie, died in a helicopter crash nearby. The airstrip remains as a haunting reminder of the bloody battles fought in the surrounding hills in the 1960s and early 70s. 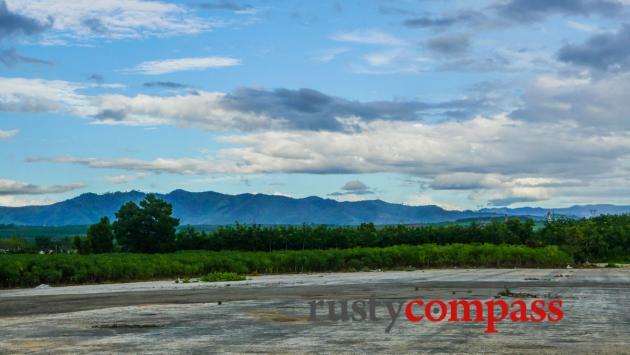 The old airbase is now a cassava plantation tended by local ethnic minority women. Kon Tum’s main museum isn’t a must-see but may be worth stopping by - especially if you have an interest in Vietnam’s curious, and largely un-evolved, approach to museums. There’s the standard history of the area and its involvement in the war on display, as well as some more interesting ethnic minority pieces. As usual, information is sparse. The museum’s located at the roundabout near the main bridge on Route 17 (AH17). I stayed here twice and found it friendly, comfortable and great value for money at less than 15US per room. Internet was surprising reliable too. No breakfast. Motorbikes available for hire. Sadly no bicycles - and we couldn’t find any good bicycles in the town. Add: 16B Nguyễn Trãi - TP. Kon Tum. 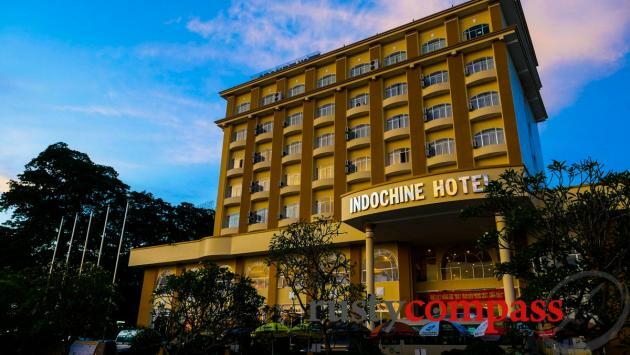 This is the fanciest hotel in Kon Tum. And rooms go from around 50US per night. One of the coolest places in Kon Tum is Eva Cafe. 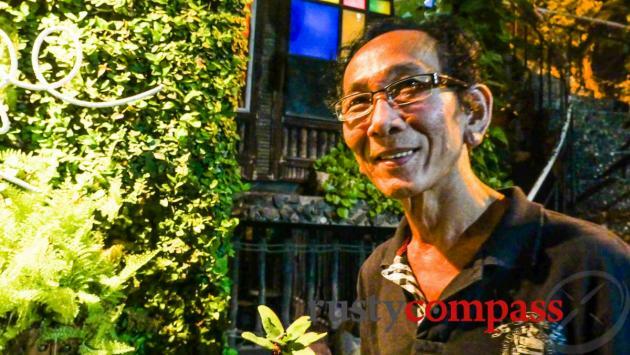 The owner, Mr An is an artist and great local character with plenty of tales. He also runs tours if you’re interested. Definitely worth stopping by for a meal or a drink. A great place to hang out too with gardens and some quirky features including sculptures made from war junk. 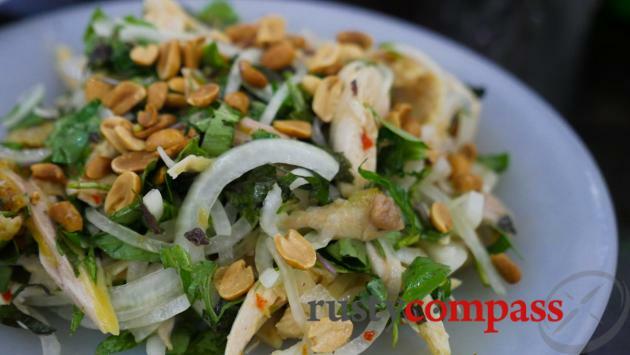 There are plenty of little local eateries in Kon Tum serving simple, tasty, country Vietnamese cuisine. 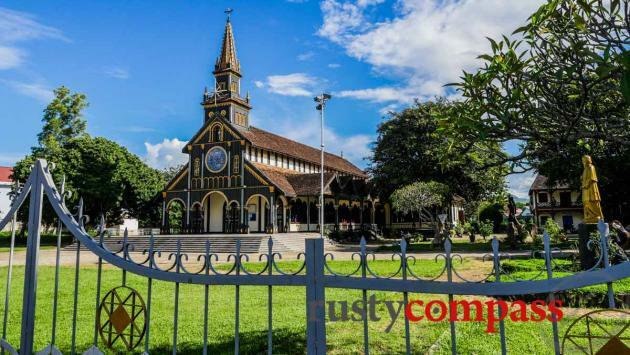 Kon Tum is a short 30 mins and inexpensive cab ride from Pleiku airport. It’s 5 hours and 250 kms from Buon Me Thuot further to the south. Local buses of varying quality run through all the Central Highlands towns.They’re mostly pretty basic. If you’re travelling in a small group, you could also hire a taxi to get around and travel between major points. 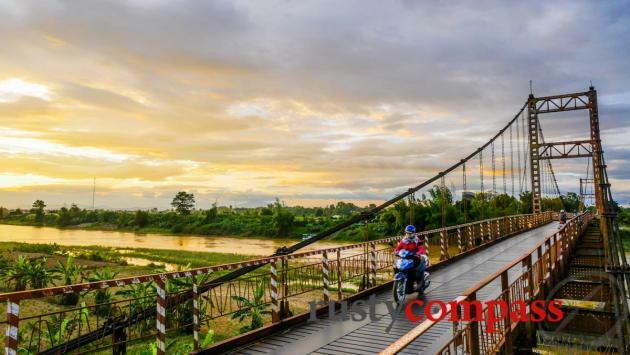 The 250km journey to or from Hoi An travels along the Ho Chi Minh Highway (the old Ho Chi Minh trail) with some scenic countryside. We used Kontum as a base before taking a local bus to Pakse in Laos. It was an interesting ride but definitely not for everyone. Cramped, no air-conditioning - not very comfortable.